1. 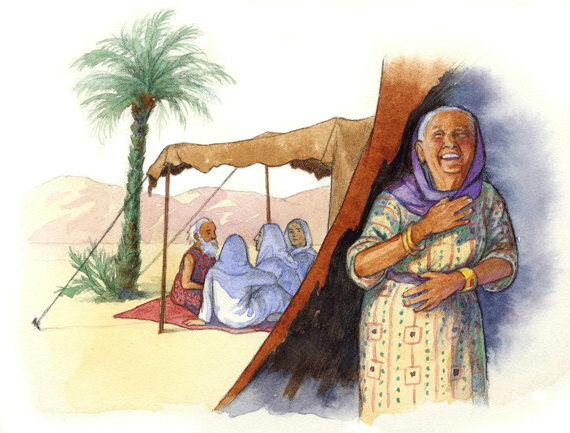 Which couple laughed at the incredibility of God’s promise to them? 2. Which son brought laughter to his mother? 3. Which king was laughed at when he invited people from all over Israel to celebrate the Passover? 4. Who advised that laughter should change to mourning? 5. Who referred to himself as laughingstock? 6 Who laughed at Nehemiah’s attempt to rebuild Jerusalem’s walls? 7. Who told his friend that God would fill his mouth with laughter? 8. Who said laughter was mad? 9. Who was laughed at when he said that someone was not dead but only sleeping? 10. Who was afraid the townspeople might laugh at him because of his relations with “a prostitute”?